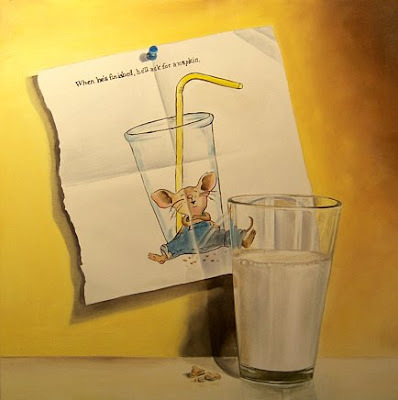 This is the next painting in my series honoring children's book. This is a wonderful book and favorite of my kids when they were young. We read it often. 12x12 on panel with a special hole in the back so this can be hung with or without framing. I love your children's book series. It is totally fabulous. What a wonderful subject! Another suggestion would be Pinkalicious- a new favorite among toddlers girls!